The Sportsbetting sportsbook glossary at gamerisms is divided into 3 parts beginning with this introduction, 3 definitions and continuing with other sport betting terms and types of bets. This glossary makes every effort to benefit both bettors and punters in that wagering on sports is popular worldwide. will be familiar to North Americans. Examples: Bookmarker, Bookies, Punters = UK. Sports book, Bettors = U.S./Canada. In order to provide players with a comprehensive sports betting guide, we have combined basic terms and lingo/jargon with specific types of bets in alpha order. Examples are sportsbook and sportsbetting exchanges=basic terms; beard and buy the rack=lingo/jargon along with Ante Post and Asian Handicap=type of bets. Let's begin with Sportsbetting sportsbook glossary phrases. Sportsbetting: wagering on a team or individual sport game. Sportsbook: organization online or off that accepts bets on sporting events. A sportsbook will take bets on a wide-ranging number of options. In order to provide sportsbetting and sportsbook services, bookmakers or bookies request a small commission or vig on all losing bets. The commission will range from the typical 10% to as low as 5%. Following the posted event, the sportsbook will pay winners accordingly. Sportsbetting Exchanges: manage wagers between gamblers directly online where players either act as a book themselves by setting things up to earn a profit through others or they will search for the best possible odds from another bettor. The exchange players are involved only with one another and not the house. However, the exchange charges a commission of the net winnings for each customer on each event. Accumulator: refers to wagering: refers to multiple betting by making concurrent picks for two or more sports games with the aim of pressing the winnings of the first win on the bet for the following game each time. All picks must win for you to then cash in on the accumulator. Also know as Parlay betting. Action: betting or wagering on sports events. Agent: someone who sets up betting customers in return for a commission. Ajax: UK jargon for Betting Tax. All-in: with this form of betting, no refunds are received for scratched or withdrawn teams or participants. In the event of a cancellation, the betting amount is refunded. All Up: refers to selecting wins for more than one game or event. In order words, a single bet amount is placed on more than one result, thus the stake and winnings of the first selection is then rolled over into the second selection. See Accumulator. Ante Post: type of betting that is placed 1 or more days before the date of the event. Arbitrage: term referencing a variation in odds available thereby allowing a bettor to back both sides that results in a guaranteed win. Asian Handicap: basically, this method of betting eliminates the tie or draw outcome. Thus, the player has two betting options, win or lose, that each has close to a 50% chance of success. The line is then created near 50% resulting in payouts close to even money. This type of betting starts at a quarter goal and can go as high as 2.5 or 3 goals in certain games. Backed: specific team is said to be backed when a large number of bets have been made. Banker: lingo for a high expectation of a win, a very solid choice. Bar Price: term for odds of choices based on the last quoted price. Beard: jargon for a runner who makes bets for others. Beef: disagreement over the bet result between a bookie and the player. Beeswax: UK jargon for a betting tax. Also known as Bees or Ajax. Betting Tax: the taxman cometh based on the bookie's turnover. Bettor or Punter: jargon for person making a bet. Big Sports Board: explains these three bets, and quotes betting information. Book: term for a record of a bookmaker's bets taken for an event and quoted odds to determine profit. Bookie: abbreviation for bookmaker or a person who takes bets. Bookmaker: certified bookie that can legally receive bets and give odds to bettors. Bottle: lingo for 2 to 1 odds bet. Bridge-jumper: specialized handicapper for large show bets on favorites. Buck: lingo for a wager of $100 US. Buy Price: refers to spread or index betting. Buy the Rack: jargon for betting on all daily double or other combo tickets. Canadian or Super Yankee: lingo for combo bet of 5 selections and 26 bets. Carpet or Tres: terms for 3 to 1 odds bet. Century or Ton: jargon for £100. Chalkeater: lingo for someone who bets only on favorites. 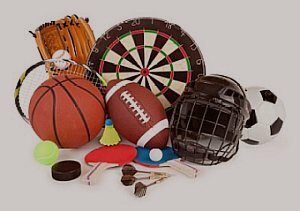 Circled Game: a game where betting limits are lowered, typically because of injuries and/or weather. Closing Line: last list of point spreads before game/event begins. Combination bet or Combo bet: a group of picks for sports teams or horses to finish first and second in either order. Correlated Parlay: Correlation is a calculation in which the results of two bets are connected. An example is 2 bets where your team pick has the better score at half-time and then wins the game in the end. The strategy is to wager positively in order that the first bet increases the odds of the second bet win. Cover: you win by more points than you laid or lose by more points than you had taken with a point-spread win. Credit Betting: term for bookie extending credit to the bettor. Dead Heat: sportsbetting jargon refers to individuals or teams that finish an event or game in exactly the same place or score. It's a tie, folks! Dead Hit: lingo for both bets winning. Deposit Betting: using monies previously deposited with bookie to place bets. Dividend: lingo for pre-determined return on any bet. Dog: the underdog in the game. Dog Player: player who bets and cheers for the underdog. Dollar Bet: lingo for $100 bet. Double(s): refers to 2 bets on 2 pre-determined events or 2 parts of the same event. Double or Nothing: even-money return, you get your original bet back. Draw: a tied event. If there is no draw bet offered, the payout is between a determined number of joint winners. Draw/No Draw: betting that a specific game will end in a tie or dead heat not including overtime. Drift: lingo for odds that get longer and to the bettors' advantage. Each Way Bet: 2 wagers consisting of a win and place bet, each with an equal stake. To collect, your choice must win and finish in one of the top positions. Even Money: a bet where one side lays no juice or vigorish. Exact Score: sport bet on the specific results of the game. Exposure: maximum amount a sports book can lose on a game. Favorite: bet refers to the expected winning team or competitor, generally with the most money riding on it. Field: refers to all participants in an event. First Half: sport bet on the score of the first half of the game. First Player to Score: betting on the team member who scores first in the game. First Quarter: sport bet on the score of the first quarter of the game. First to Score: betting on the team that will score first. Fixed Game: illegally manipulating the final outcome of an event. Fixed Odds: odds that do not change after your bet has been placed. These odds are recorded and payouts are based on these stated odds regardless of any changes afterwards. Flag: combo bet for 23 bets based on 4 selections in different events. Flash: refers to changing odds displayed on tote board. Fold: refers to tally of selections in an accumulator. Forecast: bet that predicts the first and second winner of an event. Full cover: jargon for all doubles, trebles and accumulators included in selections. Futures: bets made today for an event that takes place at a later date. Sportsbetting sportsbook glossary is divided into 3 parts created for newbie and veteran punters. Be in the know about the lingo, jargon, basic terms and betting options for this type of universal gaming.